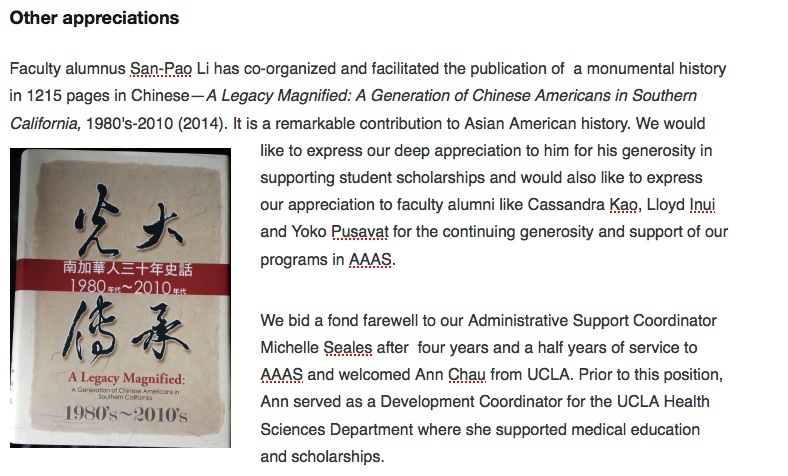 Newsletter Archive | AAAS newsletter focuses on the highlights and accomplishments of students and faculty associated with the Department of Asian and Asian American Studies at CSU Long Beach. 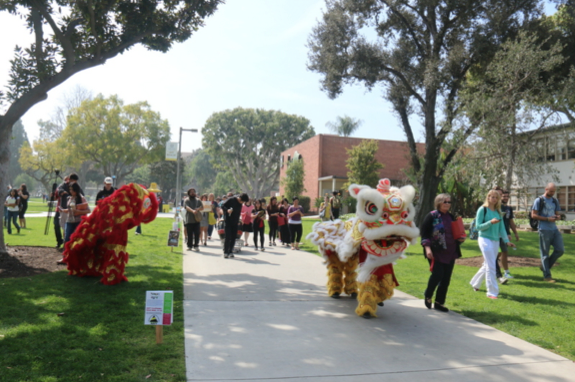 On March 10, AAAS sponsored a campus Lion Dance to bring “good fortune” and attention to the importance of funding summer, study abroad programs to Asia and elsewhere ( Lions dance through campus). 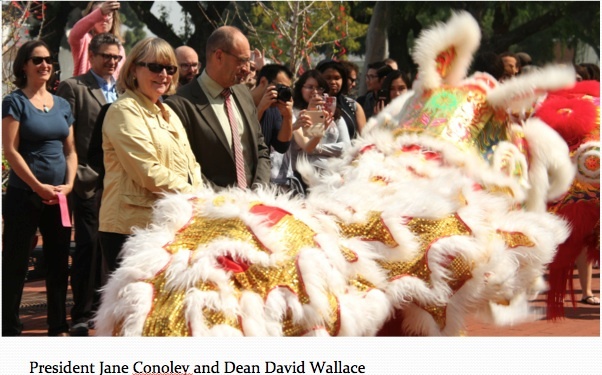 The CSULB Confucius Institute was established this year. AAAS will take a lead role in the development of its community outreach plans. We hope to work with History Department’s Tim Keirn to develop training in Chinese culture for K-12 instructors while utilizing resources from the Confucius Institute. 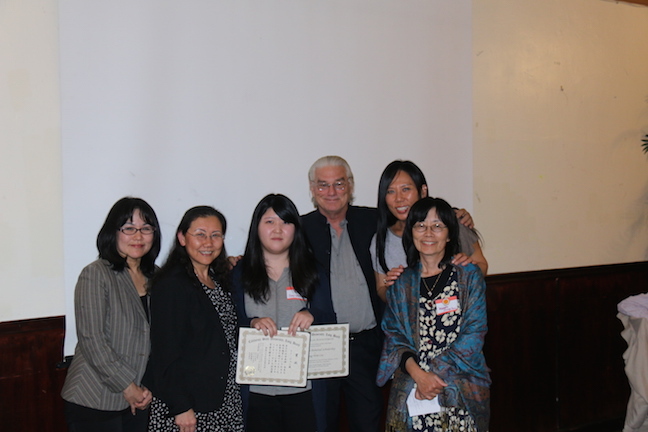 We are also excited about two new Long Beach Unified School District (LBUSD) partnerships: from Fall 2015, we will be offering our Chinese language courses for college credit to high school students in the new Sato Academy of Mathematics and Science; and the Asian American Studies program faculty will begin teaching college-credit, ethnic studies courses on Saturdays for LBUSD high school students as part of the CSULB ethnic studies consortium. The Department has two new minors: Chinese language and culture (18 units); Japanese language and culture (18-26 units). The M.A. 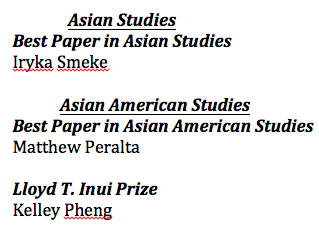 in Asian Studies has been restructured as a cutting edge masters degree in Asian Studies, with a focus on language competency (Chinese or Japanese) and content knowledge of the history and significance of Asia and globalization. It also has two options: Chinese Studies Option ( a choice of Chinese Language and Culture or Teaching Chinese as a Foreign Language); and an Option in Japanese Language and Pedagogy. 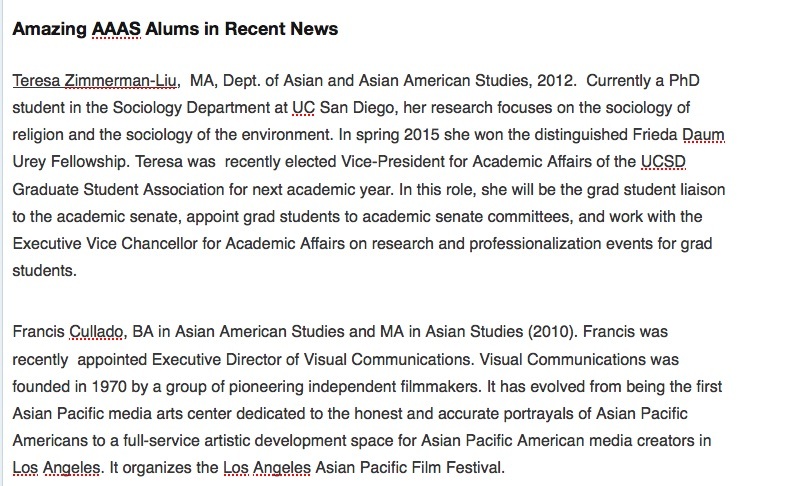 Newly appointed Assistant Professor in Chinese Studies, Haiping Wu received her Ph.D. in Asian Languages and Cultures (Chinese linguistics) from UCLA in 2014. During this past academic year, she taught Chinese language in the University of Mississippi’s Chinese Language Flagship Program. 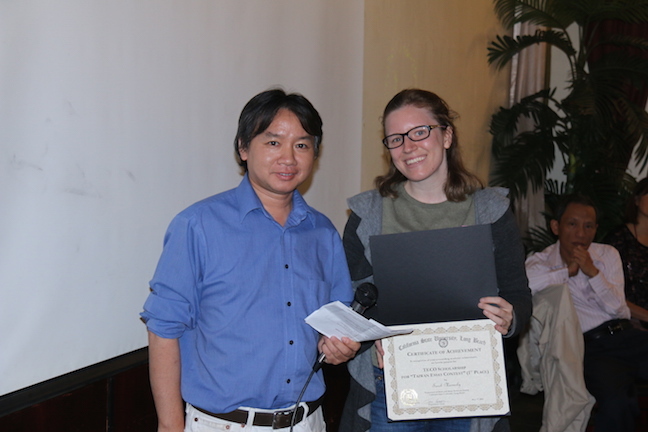 Her research focus is on the analysis of reported speech in everyday Mandarin conversation from a conversation analytic perspective. Haiping’s research shows the ways in which reported speech functions to generate an inter-subjectivity between participants, making a unique contribution to the field of discourse functional linguistics. 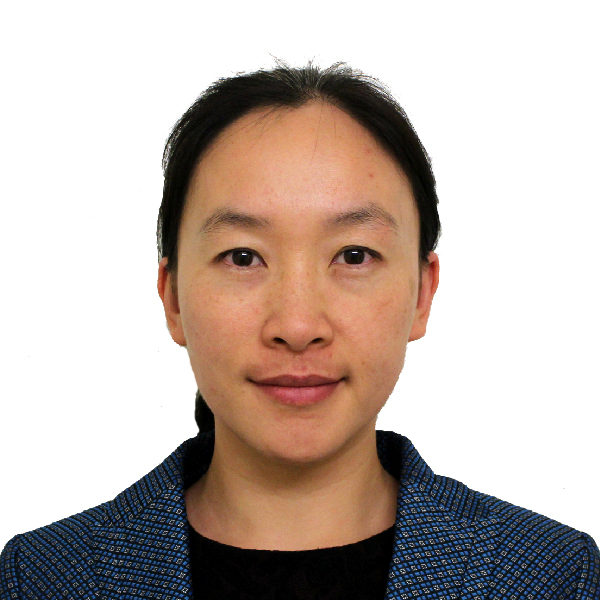 Chinese Studies, Prof. Ruixi Ai — Received tenure and promotion to Associate Professor in Chinese Studies. 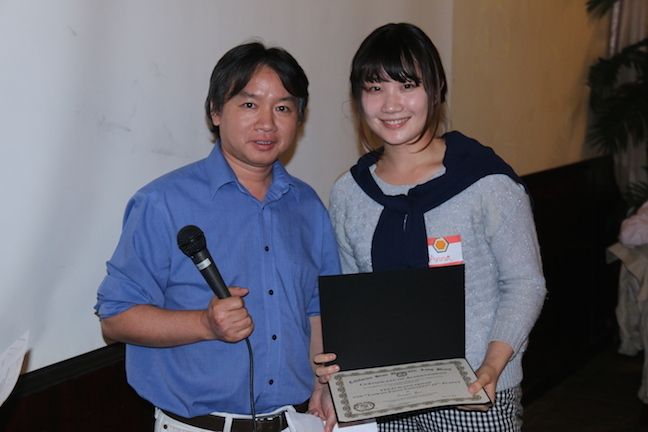 He was the invited speaker for “The Art of Teaching Chinese Linguistics (i.e. 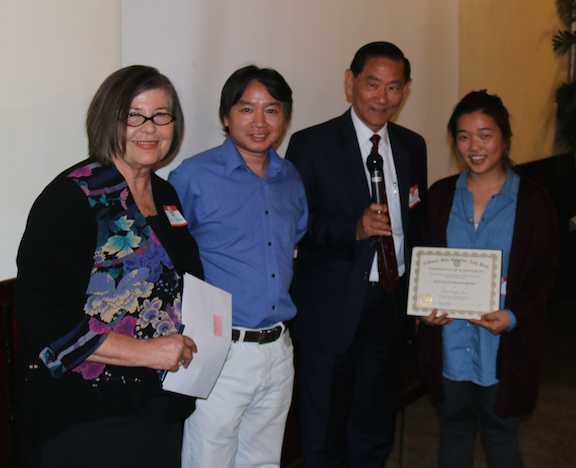 Chinese Language and Culture) to undergraduates at North American Colleges: A Special Panel/Workshop at the 27th North American Conference on Chinese Linguistics,” held at UCLA, April 3-5, 2015. Japanese, Prof. Masako Douglas — developed Unit 7 in “Monty’s Bridge to Tomorrow,” a Japanese online textbook for intermediate to advanced levels, as a part of JET Memorial Project: Montgomery Dickson Memorial, Montgomery Dixon Center for University of Alaska, Anchorage. Hiroko Kataoka & Eiko Ushida (Eds.). (http://hdl.handle.net/11122/4144). 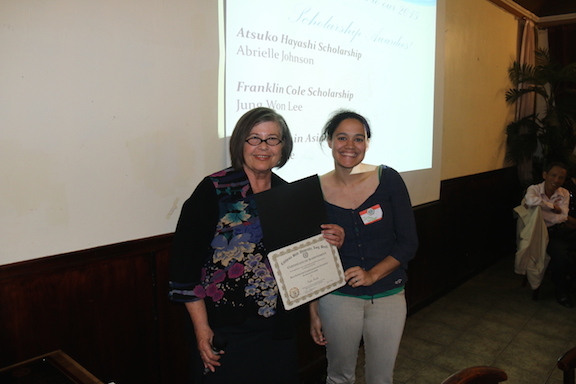 She gave three invited presentations on Japanese language education and a number of workshops. Japanese, Prof. Hiroko Kataoka —published “Differentiated instruction in Japanese Language Classes,” in Proceedings of the National Symposium on Japanese Language Education (2012). 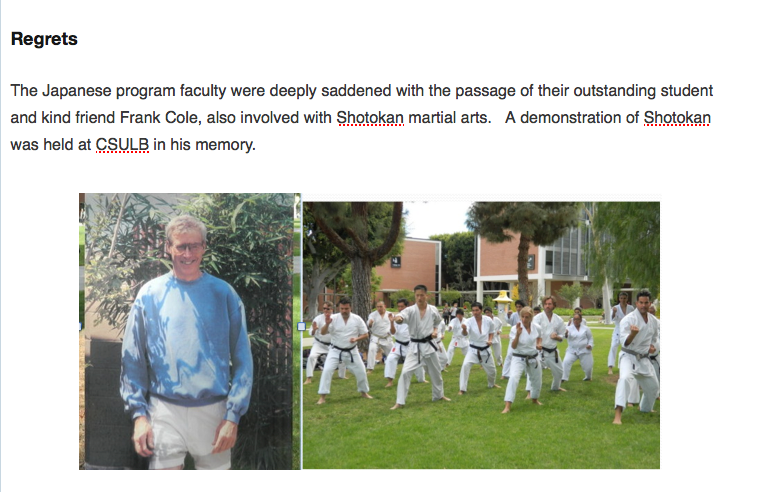 She co-edited with Eiko Ushida, “Monty’s Bridge to Tomorrow,” a Japanese online textbook for intermediate to advanced levels, as a part of JET Memorial Project: Montgomery Dickson Memorial (Montgomery Dixon Center for University of Alaska, Anchorage). 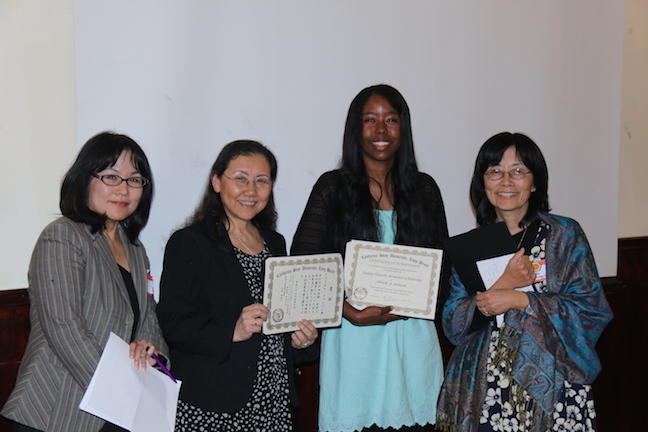 She gave several invited presentations and conducted four workshops in Japanese language curriculum development and standards. Japanese, Prof. Kiyomi Chinen—Received tenure and promotion to Associate Professor in Japanese. She published the chapter “Community” in “Monty’s Bridge to Tomorrow.” Montgomery Dixon Center for University of Alaska, Anchorage. She gave a conference paper in Sydney, Australia, on Japanese Heritage Language. 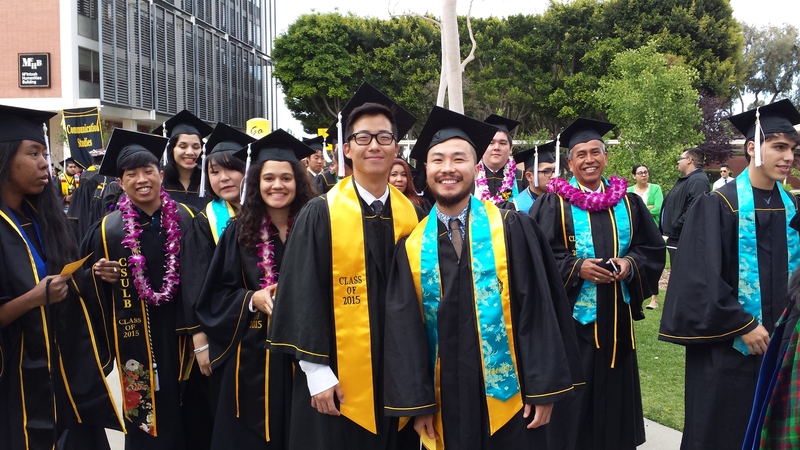 Asian American Studies, Prof. Dean Toji —In Fall 2015 he will launch ESP 392 “Environmental Science & Policy” (Climate Action and Sustainability at CSULB), a service learning, capstone course in which students work with staff, faculty and community partners. ESP 392 was developed with a “Campus as a Living Lab” grant from the Chancellor’s Office. 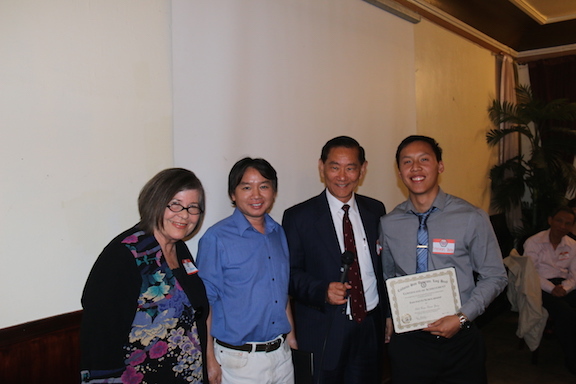 He continues to work as principal organizer of the Environmental Justice Committee for A3PCON (Asian Pacific Policy and Planning Council) and serves on CSULB’s Sustainability Task Force. 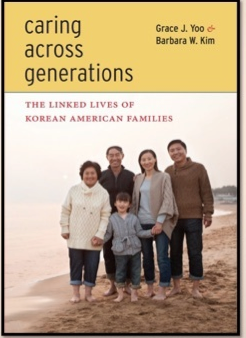 Asian American Studies, Prof. Barbara Kim—Published with Grace Yoo Caring across Generations: The Linked Lives of Korean American Families (NYU Press, 2014) and helped to organize the panel discussion “Unpacking the ‘Achievement Gap’: Latinos, Asian Americans and Inequalities in Education” featuring Professors Robert Teranishi and Gilda Ochoa. 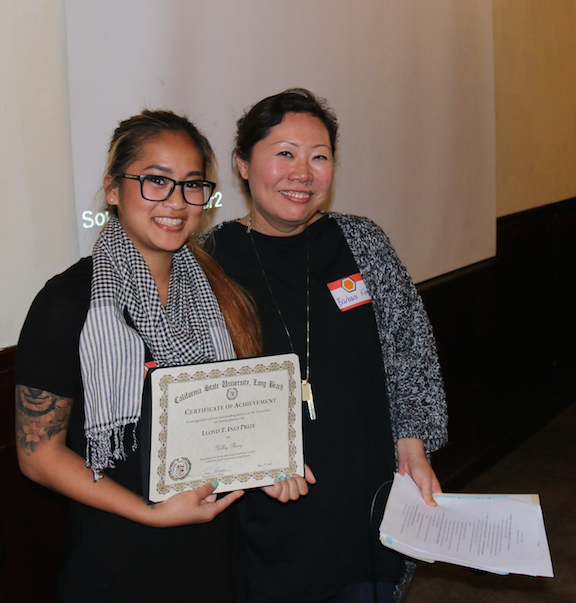 Asian Studies, Prof. Teri Yamada—continued her work in Cambodia with the NGO Nou Hach Literary Association, which sponsored a Fulbright student, creative writer Colin Hodgins, this year in Phnom Penh. Prof. Yamada presented two conference papers on the economic and social consequences of the monumental building projects currently underway in Phnom Penh. She continues to work on the second volume of English translations of Cambodian literature and essays titled Transnational Cambodia.